As 2018 draws to a close, it gives us the opportunity to reflect back on all of our achievements over the past 12 months. 2018 was a busy year for us; seeing lots of new cadets join, adult personnel changes, camps and qualifications earned. The year started with a new communications mast being erected at the squadron HQ in Eastern Avenue, Adult Sergeants Naomi Easterbrook and Charlotte Paynter transferred to the squadron, and two cadets attended a Junior Aerospace Instructors Course. May was a busy month where we celebrated the 100th anniversary of the Royal Air Force with the rest of Sussex Wing parading through Chichester. We enrolled five new recruits and took part in the Wing Athletics competition. Eight cadets performed with the Wing Band at the Wing Parade, with Cadet Warrant Officer (CWO) Lenny Weaver, from Lancing, leading the whole parade as Drum Major. 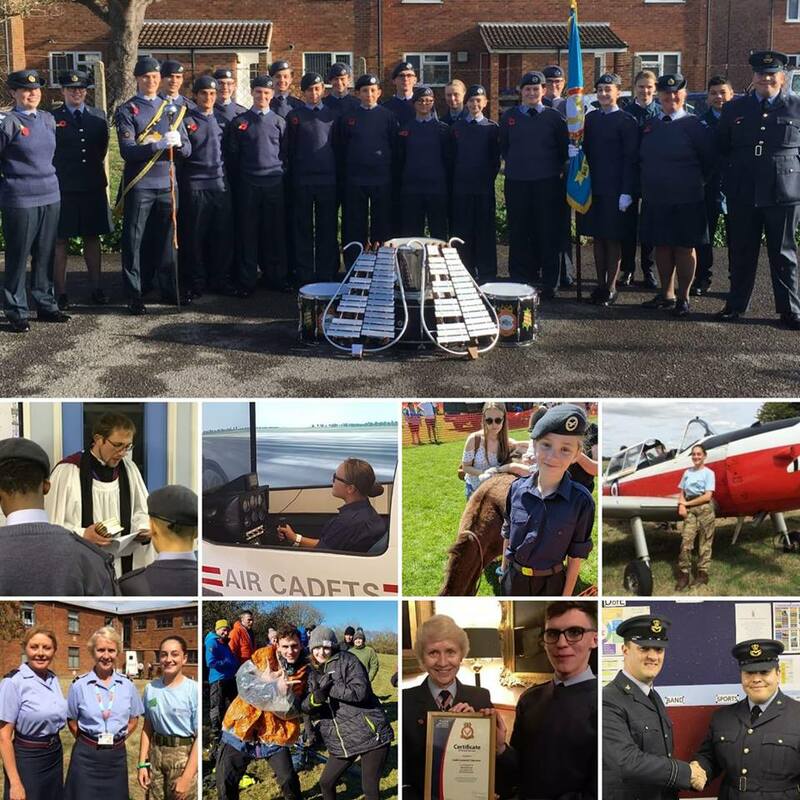 Over the Summer, we took part in six-a-side football, model flying, rock climbing, annual camp at RAF Wyton, and Cadet Sergeant Chloe Harber attended the National Aerospace Camp. We also saw four cadets spend time overseas: Cadet Corporal Morgan Buchanan-Wilson and Cadet Faithful Shelley went to RAF Akrotiri in Cyprus, CWO Weaver went to Canada on the International Air Cadet Exchange and finally Cadet Sergeant Charlie Harrison headed to Peru where he was part of the Sussex team who built a new accommodation and toilet block at an orphanage. Sgt Harrison was awarded the Commandant’s Commendation by the Commandant Air Cadets, Air Commodore Dawn McCafferty CBE, for his fundraising efforts, raising money to buy musical instruments, footballs, skipping ropes and a cricket set, leaving a lasting legacy. Also, during the summer CWO Weaver was awarded a Pilot Navigation Scholarship, spending a week flying with the RAF from Boscombe Down. September is always busy as our cadets headed back to school, college and university. We took part in the Wing drill competition, placing a respectable 12th place. We placed well at the Wing Training Day, coming 8th out of 22 squadrons, notably placing third in the band and aircraft recognition sections of the competition. Cadets also joined colleagues from across Sussex at the former RAF Tangmere to commemorate the Battle of Britain. October saw a big change when Flight Lieutenant Richard Sage moved on to a new post as a Wing Staff Officer and Flying Officer William Bruce took on the role of commanding officer at 1440. In November we took part in Remembrance Day parades in Shoreham and Lancing both led by the squadron band. We rounded off the year by joining with our colleagues from 176 (Hove) Squadron at a Christmas Carol Service at St Mary de Haura Church in Shoreham. Over the year, we enrolled 11 new cadets, promoted eight cadets, achieved 14 radio qualifications, 12 Duke of Edinburgh awards (including one Bronze and one Gold), five music badges, every cadet at the squadron is now Heart Start qualified with four going on to achieve higher first aid qualifications, four Blue Leadership, three Lowland Leader Awards, one Region Athletics representation. We would like to thank those who gave us a grant in 2018, including One Stop Convenience Stores who provided us with new first aid training kit, the Rampion Fund at Sussex Community Foundation who helped fund our Lowland Leader Qualifications and DofE kit, as well as Sussex Police, Tesco and Adur District Council who will help fund more first aid equipment and a flight simulator in 2019. We would also like to thank our friends at Sussexdown Care Home for their kind donations. With the help these grants and donations provide, we can enrich the cadet experience and enable any cadet to get involved. We’re recruiting in January, so if this sounds like your kind of fun please get in touch! 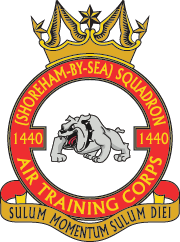 1440 Squadron wish you all a Happy New Year!